This circle is quite unique in its design, and the circumstances of it's placement. Coincidence was the theme regarding many aspects of the circles creation. Thanks to John Martineau, who suggested and decoded the Moel-Ty-Uchaf Stone circle geometry, which the circle is based upon. This unique Pentagonal Circle is, according to Aubrey Burl, ‘almost perfect’. The cairn-circle of Moel Ty Uchaf stands high on a hill near Llandrillo (Denbighshire, Wales). It consists of 41 stones with a cist in the centre and an outlying stone to the north-north-east. Interestingly recently released government files of the "Welsh Roswell" UFO incident in 1974, occurred very near this circle! The Sunrise Circle Pentagram is oriented towards the Mid Winter Solstice Sunrise, this is the Big Date for 2012 - when the Solar and Planetary ecliptics align with the Dark Rift at the centre of the galaxy. Some Mayanists say that this is when the 9 Gods of Bolon Yoke will return, issuing in a new golden age.. This is why we created a Gateway for this alignment. Originally we had one outlier stone, but it broke cleanly in half when we were erecting it! 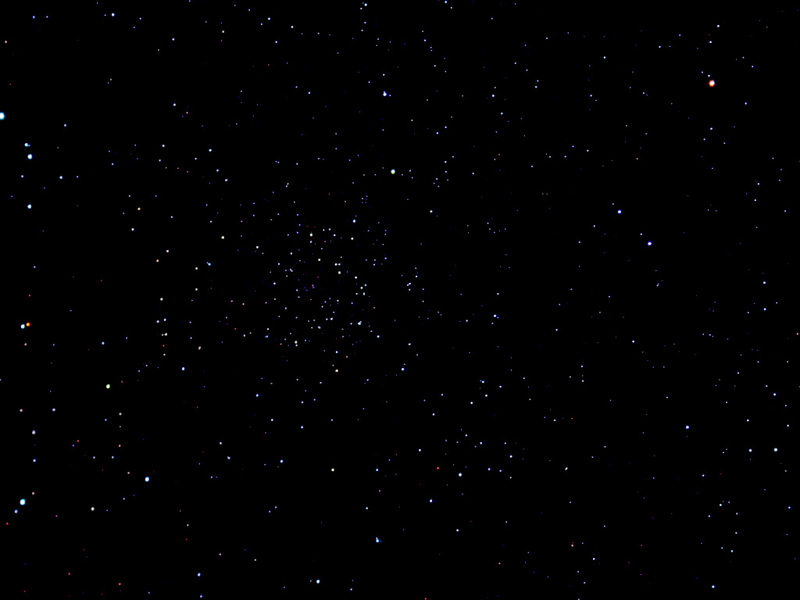 I guess the universe had other ideas.. It is quite a big alignment for one stone to hold. Venus is represented by the pentagonal geometry (The Dance of Venus around the earth). I am sure such a magical circle as this will have other alignments yet to be discovered! The Other main alignment is of course summer Solstice Sunrise marked by an outlier stone, which remarkably aligns with Avebury Henge in Wiltshire! Others include: Summer & Winter Solstice Sunset, both Equinoxes, 3 Major Standstills of the moon, Glastonbury Tor, Burrow Mump & Lamyatt Beacon, Alfred's Tower, Cerne Abbas Giant and Fernhill Stone Circle - that John and I created in 2005. 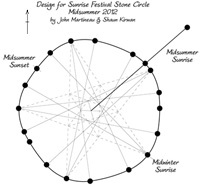 'A Five fold design, with Midsummer sunrise outlier for the festival. Loosely based on the Welsh stone circle Moel-Ty-Uchaf, it also invokes the Venus pentagram and celebrates the 2012 Venus transit. A traditional count of 19 stones in the circle invoke the Metonic cycle, marrying Sun And moon. I would like to thank, John Martineau for his brilliant design and help with laying out the geometries. It was a pleasure to work with him again. A Big thanks to Steve Duross for finding the stones and all his hard work on site, my geomancy students & friends, who came and helped the construction. Robert Comer of Hadspen Quarry for supplying the most gorgeous 160 million year old Limestone, machine dug, not blasted! Thank you also to the many excellent people who helped us dig holes in the sweltering heat! To Bernie who drove the forks like a maestro. To Sunrise and Dan Hurring for inviting us and paying for stones etc. Andy, the farmer who allowed us to create this beautiful site on his land! Finally, just to say that this circle was Dedicated to the The Earth, Venus, The Sun, Moon, Nature's Kingdom and Humanities Awakening.